Many use the terms “uptown” and “downtown” to refer to the northern and southern areas of a city, respectively. While this might be true for many cities, other towns might have downtown areas to the north and uptown areas to the south. The main differences between the two areas lie in the way the land is used and, to some extent, the social classes of the people who live there. This article discusses those differences. The term “uptown” originated in New York City in the 19th century. Residents of Manhattan used the term to refer to the land at the north of the island. Much of northern Manhattan was comprised of residential areas and farms. 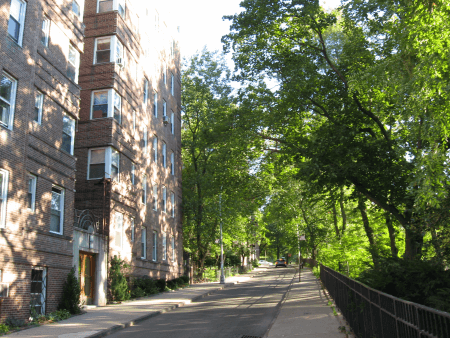 While there aren’t presently large farms on the island, the term “uptown” still refers to residential areas in Manhattan, particularly the Inwood neighborhood, Sugar Hill in Harlem and Washington Heights, with their wide avenues, single-family residences and forested hills. Similarly, the term “uptown” is used for any city’s primary residential area. These residential areas are typically less crowded and have better infrastructure. Many of a typical city’s well-to-do residents build houses in an uptown neighborhood to escape the problems associated with the inner city, such as population density, crime and poor social services. However, because of their relative distance from workplaces, uptown residents need their own cars or public transport to get around. Similarly, the term “downtown” originated in New York City in the 1830s. 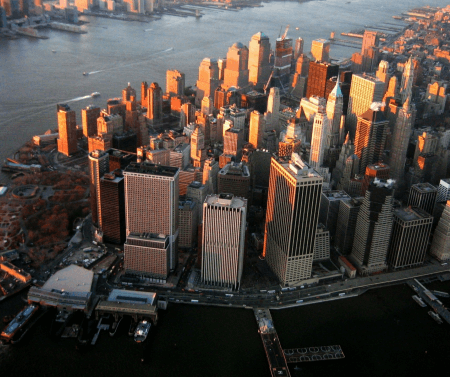 As most local businesses built their buildings on the southern tip of Manhattan Island, locals used “downtown” to refer to the central business district of the city. Today, the word refers to Lower Manhattan, including the Financial District, Wall Street, the Flatiron District and SoHo, which are all renowned for being the locations of skyscrapers and for housing numerous multinational companies. In everyday parlance, the word “downtown” refers to the central business district of a particular city. These areas are usually densely populated, with condominiums, high-rise hotels and apartments dominating the housing landscape. Many executives and employees choose to live downtown to be closer to the action, as everything is within walking or biking distance. What are the differences between uptown and downtown? Their differences have very little to do with geographical location; rather, they differ most in terms of land use and quality of life. Uptown residential areas usually occupy large tracts of land; thus, coupled with the number of single-family residences, they usually have low population densities. In contrast, because of the demand for living space close to workplaces, real-estate developers build high-rise condominiums or apartment buildings in downtown areas to accommodate as many people as they can into a small land area. While the lines between uptown and downtown lifestyles have been blurred significantly, uptown areas are perceived to be more affluent, particularly because of access to recreational facilities and better education. In contrast, because many residents in downtown areas are working for living wages and do not have much access to recreational and educational facilities, they are considered middle to lower-middle class. Many uptown communities are considered “commuter towns” due to their distance from the commercial districts. Residents often drive their own cars or take public transportation to get to the rest of the city. On the other hand, because of the compactness of downtown areas, most downtown residents walk or ride a bike to and from work.